When covering the World Curling Tour, most weeks there are only a couple of big events to focus on. This week, however, there was a pile of events to watch, from coast to coast. With eight men’s events and six women’s, there was cash up for grabs across the country. 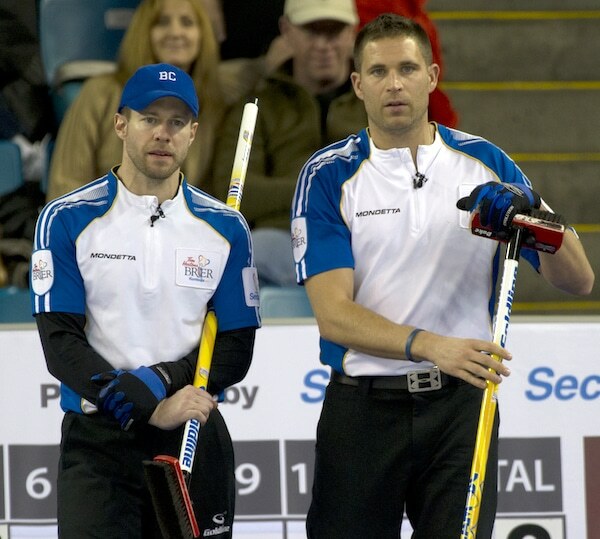 Starting in the west, Calgary’s John Morris skipped the Jim Cotter rink to victory at the Driving Force Abbotsford Cashspiel in Abbotsford, B.C., The win earned them $6,000 and 17.54 points on the Canadian Team Ranking System which puts them in seventh place on this year’s rankings. Morris took down Vancouver’s Ken McArdie in the final. McArdie earned $4,000 for this efforts. Across the country in Clermont, Que., Halifax’s Stuart Thompson won the Challenge Casino de Charlevoix, besting fellow Nova Scotian Chad Stevens in the final. Thompson won $8,000 and earned 31.562 points. Toronto’s Greg Balsdon, fresh off his Tier 2 win at the last Grand Slam, was a semifinalist. In Winnipeg, two-time Canadian Junior champ Matt Dunstone guided his new men’s squad to victory in the Sunova Spiel at East St. Paul. Dunstone beat David Bohn in the final, earning $2,600 and 22.518 points. Back in B.C., Edmonton’s Thomas Scoffin skipped his team to a win at the Dawson Creek Cash Spiel, earning $2,500 and 12.627 points. On the women’s side, Sherry Anderson won the Boundary Ford Curling Classic in Lloydminster, Alta., earning $6,500 and 32.111 CTRS points. Anderson took down Regina’s Chantelle Eberle in an extra end final. Casey Scheidegger (Lethbridge, Alta. ), who has been on an impressive run this season, finished in the semifinals, earning $2,500 and 19.496 points. Sudbury, Ontario’s Tracy Fleury won the women’s event at the Sunova Spiel in Winnipeg. After losing her first game, Fleury and Co. won six straight, including the final over Winnipeg’s Michelle Englot. Fleury earned $2,600 and 30.776 points. And back in Abbotsford, former world champ Bingyu Wang (China) bested a slew of B.C. teams to win the Women’s side of the Driving Force Abbotsford Cashspiel. She beat a Kamloops, B.C., team skipped by Karla Thompson in the final, to take home the top prize of $6,000.